Required “reading” for any Harry Potter fan! When Hagrid is chosen to teach the Care of Magical Creatures class, he assigns the Monster Book of Monsters to his students. This faithful plush replica can be just as ferocious — gently pull the tongue out and it shakes! 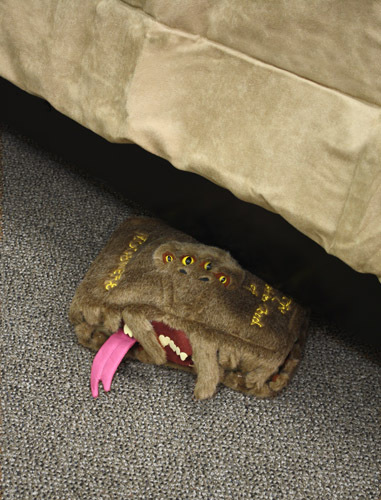 Try not to let it out of your sight… it loves hiding under beds. Measures approximately 9″x11″x4.5″. Polyester; spot clean only with a damp cloth.